The Executive Committee of the International Association for the Advancement of Teaching and Research of Intellectual Property (ATRIP) is proud to launch its annual essay competition for young researchers in intellectual property law. ATRIP contributes to the advancement of teaching and research in the field of the law of intellectual property. The competition is sponsored by FICPI, the International Federation of Intellectual Property Attorneys. The author of the first placed paper will be invited to give a presentation as a speaker at the 2017 ATRIP international annual conference to be held at Victoria University of Wellington, New Zealand. 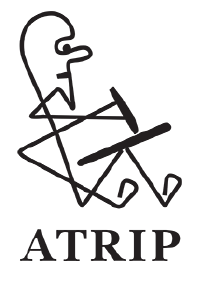 Details of the ATRIP essay competition have been shared by Dr Andreas Rahmatian, Senior Lecturer in Commercial Law, School of Law at the University of Glasgow. Papers may be submitted in French or English. Entries should be submitted to admin@atrip.org no later than November 30, 2016. The paper may pertain to any topic related to intellectual property law. The text of the paper should be no less than 5,000 words and no more than 10,000 words, including footnotes. The manuscript should not identify the author and should not have been published. The author of the paper should be no older than 35 years of age as of December 31, 2016. The authors of the top three placed papers will be announced on the ATRIP website and the papers uploaded to the essays section. There is also the opportunity to publish the papers in the Journal of World Intellectual Property Law. The Executive Committee reserves the right not to proclaim any or all winners should the quality of the papers be considered insufficient.